The German automaker, Mercedes-Benz revealed the 2017 E-class earlier at the 2017 Detroit Auto Show. Now, the company has taken the wraps off the E63 AMG super saloon based on the E-Class. 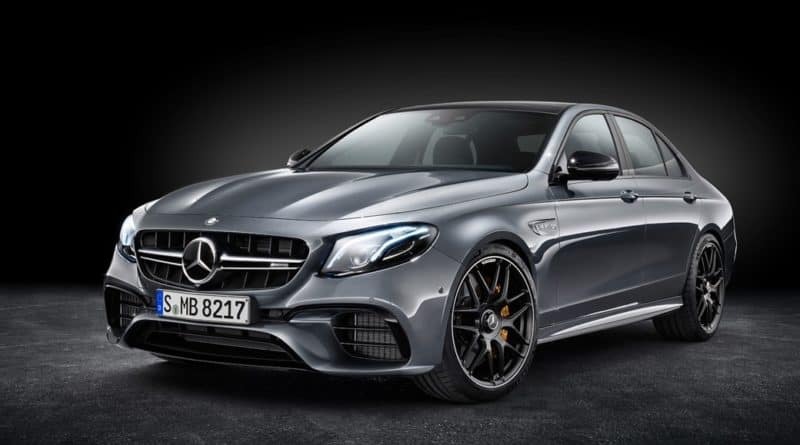 The official debut of the 2017 E63 AMG will happen at the Los Angeles Motor Show that is scheduled for mid-November this year. The silhouette of the sedan is almost unchanged. However, some muscular lines are added that gives it the beefed up look. The wheels arched now bulges out more to accommodate the wider track of the car. The radiator grille is also modified to sit a bit lower. 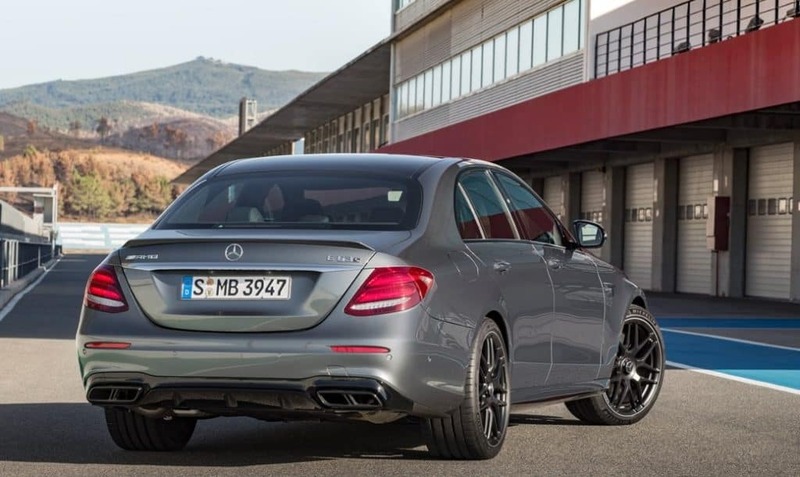 What sets apart the E63 AMG from the standard E-Class are the tasty 19-inch 10-spoke alloy wheels and the ‘V8 Biturbo 4Matic +’ moniker on the front fender. Move towards the rear, and everything looks familiar as well. Powering the E63 is a slightly tweaked 4.0-litre V8 Biturbo engine that makes 570PS of max power and a behemoth 750Nm of peak torque. This powerhouse houses two turbos between the cylinder banks for reducing any turbo lag. If some hoonigan mind wants more power, then these is the ‘S’ variant that takes the power to 612PS and peak torque to 850Nm. Both the standard E63 and the E63 S variant utilises nine-speed automatic transmission called the ‘AMG SPEEDSHIFT MCT’. 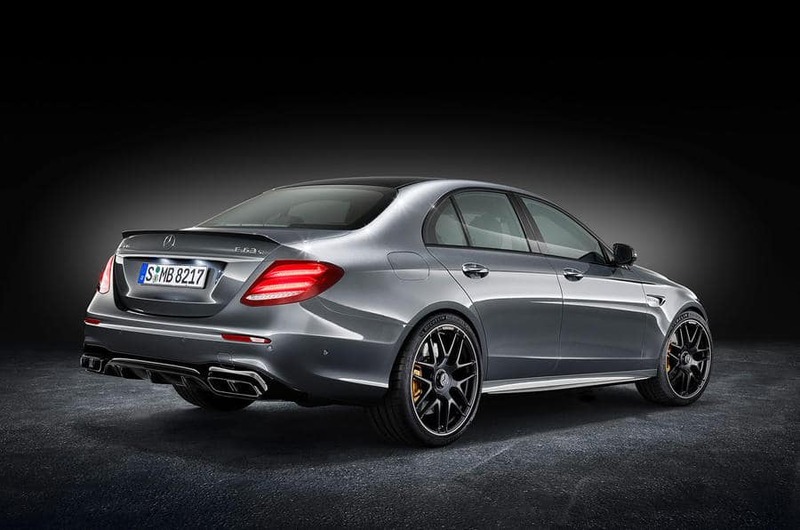 To cope with the extra power and improve on-track performance, the E63 now comes with the all-wheel-drive drivetrain. However, there is a ‘Drift Mode’ for the times when you just want to have some fun. In Drift Mode, the power is sent just to the rear wheels. The interiors of the German Super Saloon now feels extra special. It gets Nappa leather on the instrument panel and beltlines, the steering wheels gets crystal grey band on the top-center and some contrasting stitchings. Earlier next year, the new Mercedes-Benz E63 will go on sale in the International markets. We can expect this latest AMG to come to India in the later half of 2017.